In addition to this, some of the ongoing biopharmaceutical manufacturing trends ask for increased flexibility on the supplier side. For example, they want more and more biological product applications, but often for small indications, which results in smaller batch sizes with high and specific quality demands. 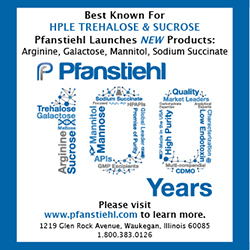 This is supported by the growing market for biosimilars/biogenerics. As a result, more automation, monitoring, and process control during production requires higher quality packaging materials. 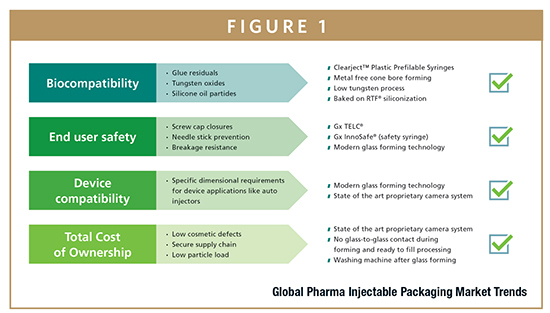 For syringes, all these trends are grouped in four different areas, demanding different innovative primary packaging solutions as well as continuous production process improvements (Figure 1). 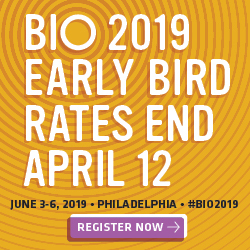 Regarding biocompatibility of the prefillable syringe system, three main topics kept the industry busy in the recent years – glue residuals, tungsten residuals/oxides, and silicone oil particles. To fix the metal cannula inside the syringe bore, an organic UV-activated methacrylate-based glue is the industry standard. Glue residuals may leach into the drug product solution and interact with the protein.1 The level of glue residuals can be controlled by optimized curing process conditions after implementation of product specifications with methacrylate in the picogram range per syringe have been realized. Regulatory bodies like the FDA did react on this, asking pharma companies to define tungsten limits for their drug products. In the FDA Guidance for Industry – Immunogenicity Assessment for Therapeutic Protein Products, it is recommended to perform a dedicated leachables and extractables laboratory assessment for packaging components. With regard to tungsten, spiking studies are suggested to assess the risk of tungsten-induced protein agglomeration. Also, the PDA TR No. 73, Prefilled Syringe User Requirements for Biotechnology Applications, recommends to perform spiking studies to determine the effect of tungsten. As the sensivity of different proteins to tungsten residues does vary a lot, there is no fixed tungsten limit defined. On the syringe manufacturing side, there are several possibilities to encounter this problem. As already written, there does not exist a defined tungsten limit, and the achievable low tungsten specifications for luer cone and staked-in needle syringes vary significantly due to the size of the pin used to form the bore. The best way to avoid any problems with tungsten residues is to replace the tungsten pin with a non-metal one. This can be achieved using ceramic materials, which require some adjustments in the glass-forming process. We did identify a ceramic material with optimal properties. The ceramic shows nearly no abrasion and does not leave any new residues behind. This allows us to offer a tungsten-free (below the detection limit) RTF syringes. In the first step, this process was qualified for luer cone syringes and can be combined with other specialties like baked-on siliconization. Silicone oil as a lubricant is required to enable the plunger stopper to glide inside the syringe barrel, but silicone oil particles especially in the subvisible range are also known to be able to induce protein aggregation.3 In addition, silicone particles increase the overall particle load inside a syringe and are difficult to differentiate from protein particles. The overall particle load is of specific importance in the field of ophthalmic applications with the most stringent particle requirements for parenterals defined by USP 789 Particulate Matter in Ophthalmic Solutions, and especially with regard to protein formulations, subvisible particulates in the 2- to 10-μm range should also be characterized and quantified. Using the so-called baked-on process (Figure 2) enables syringe suppliers to significantly lower the amount of free silicone oil particles by fixating a certain amount of the silicone oil emulsion on the inner walls while maintain functionality. Particle measurements derived from a recent study compared oily (0, 5, and 8 mg/syringe) and baked on siliconized syringes. WFI and a Tween 80 0.03% solution were chosen as model liquids. The samples were stoppered (fluoropolymer coated plunger stoppers), and the number of silicone oil particles was determined according to EP 2.9.19 after 1 day of storage, 3 months, and after 3 months under stress conditions simulating a transport situation. It is obvious that baked-on siliconized syringes (BoS) syringes show much lower particle loads compared to oily siliconized syringes in both cases for all particle classes examined. For RTF syringes, baked-on siliconization is an offline process using a specific oven. The amount of free silicone oil inside a 1-ml long baked-on siliconized syringe is not higher than 1 mg. Also in this case, fixed and diving nozzles are used for siliconization to ensure an even silicone oil distribution also in larger syringes and enables Gerresheimer to specify USP 789 compliance if necessary. Selecting the appropriate syringe, it has to be also taken under consideration that plunger stopper siliconization contributes heavily to the overall silicone oil particle load. It is therefore recommended to choose silicone oil-free or cross-linked siliconized fluoropolymer-coated plunger stoppers offered by several suppliers. Baked-on siliconization so far was only applicable to luer cone syringes as the high temperatures during the baking process negatively impact the organic glue used for the fixation of the cannulas inside the syringe cone. 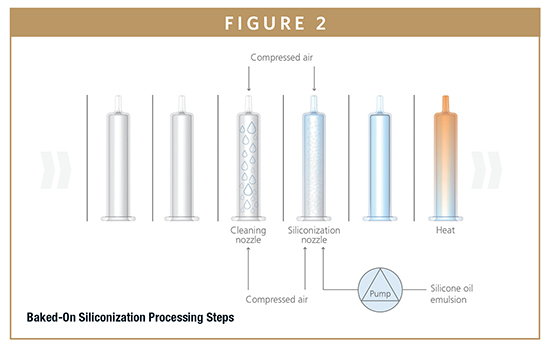 Using an additional process step that involves atmospheric plasma to remove potential silicone oil residuals from the inside of the syringe bore provides a defined surface for the subsequent cannula gluing process. Using low-temperature plasma flame at atmospheric pressure inside the syringe bore converts residual silicone oil-in-glass to nearly carbon-less layers. This conversion is accompanied by a 50% layer thickness reduction and requires no aggressive or contaminant primers. The already siliconized inside barrel of the syringe is shielded to avoid any impact of the plasma on the surface. Baked-on siliconized staked-in-needle syringes are the optimum choice for sensitive protein therapeutics. In addition to biocompatibility, end-user safety is a major trend. The use of staked-in-needle syringes is very convenient/user friendly but always bears the risk that healthcare workers may stick themselves after injection and thereby infect themselves. To avoid this, since 2000, there is in the United States a needlestick safety and prevention act in place followed by similar regulations in Europe that became effective in 2013. Since 2000, all staked-in-needle syringes sold in the United States have to be equipped with a needlestick prevention feature. To date, most of these safety devices have to be assembled on the filled syringe during secondary packaging operations. 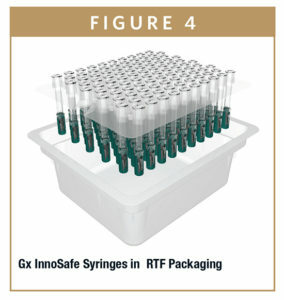 Recently, the Gx InnoSafe (Figure 3) was launched as a so-called safety syringe. In this second-generation safety syringe, the safety feature is an integral part of the ready-to-fill syringe looking somehow like a rigid needle shield. Syringes are supplied sterile using standard ready-to-fill packaging (nest and tubs). The safety system is very intuitive and fully passive, meaning it does not require any activation step by the end user. For the pharma company, it has the advantage that no additional assembly step after filling is required. The slim design also allows the use of small blisters, and therefore more cost-efficient secondary packaging and storage (Figure 4). Glass as a primary packaging material has many advantages, such as gas tightness, transparency, and high chemical inertness. For the production of glass prefillable syringes, only borosilicate glass Type l is used (51 or 33 extension). Nevertheless, there are also some drawbacks, especially with regard to breakage. Sensitive areas for breakage are the finger flange and cone area. Plastic prefillable needle syringes made from cyclic olefins have been available for a few years. They are break resistant, show the same transparency like glass, and allow a much higher grade of customization. In addition, no glue is used to fix the cannula inside the syringe bore, and no tungsten pin is required for forming that cause tungsten residuals. ClearJect with needle syringes are siliconized using high-viscous DC MD 12500 silicone oil to reduce specifically the amount of subvisible particles compared to conventional oily siliconization. The syringes are supplied with standard rigid needle shields, plunger stoppers, back stops, and plunger rods. Also in this case, the appropriate plunger stopper selection is important regarding the final total silicone particle load. Especially for particles below 10 μm, a significant reduction compared to glass syringes can be observed, which is another reason to recommend the use of these syringes for silicone oil particle sensitive protein therapeutics. Considering the complexity of modern biopharmaceutics, there is no “one-size-fits-all” solution for all protein formulations. The container closure system has become a decisive factor for sustained market success, with autoinjectors and injection pumps as growing areas of interest. This demands an even earlier involvement of packaging specialists in the drug product development process to avoid development risks (shift from Phase 2/3 to Phase me). It is recommended to consult early on in the development process the packaging supplier to determine what is feasible. The future may see further developments for alternative syringe coatings or silicone oil-free syringe solutions, and modern syringe production technologies provide continuously higher qualities with regard to cosmetic defects. Markovic, I. Considerations for Extractables and Leachables in Single Use Systems: A Risk-Based Perspective. Presented at the PDA Single Use Systems Workshop, Bethesda, USA, June 22-23, 2011. Bee, J.S. ; Nelson, S.A.; Freund, E.; Carpenter, J.F. ; Randolph, T.W. Precipitation of a Monoclonal Antibody by Soluble Tungsten. J. Pharm. Sci. 2009, 98(9), 3290-3301. Mahler, H.-C.; Friess, W.; Grauschopf, U.; Kiese, S. Protein Aggregation: Pathways, Induction Factors and Analysis. J. Pharm. Sci. 2009, 98 (9),2909-2934. To view this issue and all back issues online, 0please visit www.drug-dev.com. 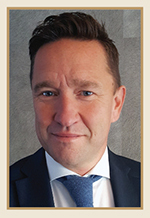 Stefan Verheyden is Global Vice President Gx Solutions & Syringes at Gerresheimer. In this role, he leads the new Gx Solutions unit, dedicated to the development of innovative packaging solutions that meet specific and continuously evolving market requirements. Prior to joining Gerresheimer, he was active as Senior Vice President, SalesPharmaPackaging International, at Nipro. Before then, he was Director of Sales EMEA – Global Pharmaceutical Solutions/Drugs & Devices within the Terumo Corporation.